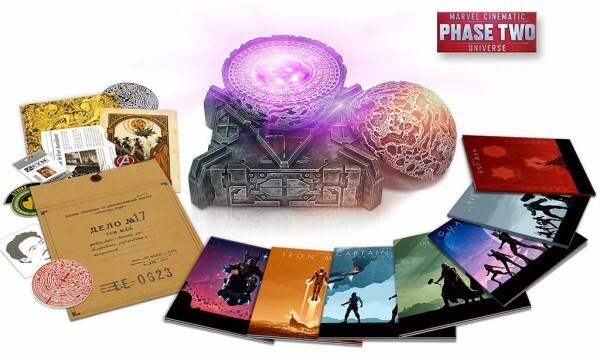 Amazon is discounting their exclusive 13-disc Marvel Cinematic Universe: Phase Two Blu-ray edition with six Marvel feature films on Blu-ray/Blu-ray 3D/Digital HD, one bonus content disc, lots of film memorabilia, and 1:1 scale prop replica of the Morag Orb (one of the six Infinity Stones). The collection includes Iron Man 3, Thor: The Dark World, Captain America: The Winter Soldier, Guardians of the Galaxy, Avengers: Age of Ultron, and Ant-Man discounted to $178.99. That’s 28% off the list price of $249.99! 1:1 Prop Replica of the Morag Orb and More! Head over to Amazon to get more details on this exclusive collection.